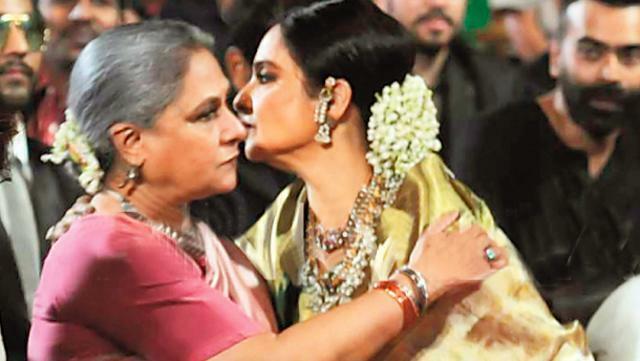 So Rekha hugged Jaya bachchan at Star Screen Awards just after Amitabh Bachchan won the Best Actor Award. It was surely a glorious sight to watch for all those present. As soon as the name was announced Rekha walked towards Jaya who was seated and hugged and air kissed her cheeks in full public view. What a pretty sight. So nice to see these dignified ladies bonding.